Gaming monitors, despite the relative remoteness of the appearance of the first such models, were not as popular as the “gaming” graphic cards. 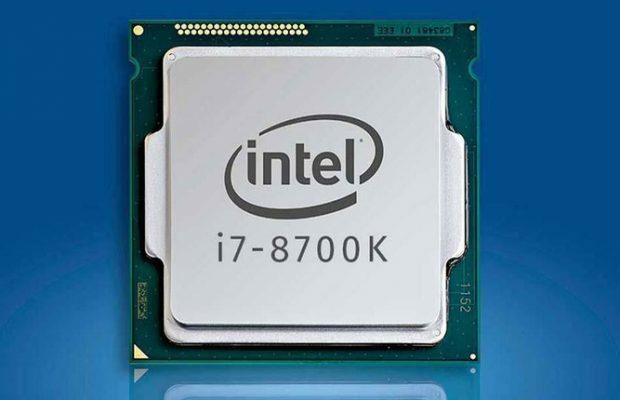 Even now, some of the most accessible 120-144-Hz displays are not cheap, and the crisis has brought them all to the value of top-end graphics adapters. But user are ready to do everything for new sensations. 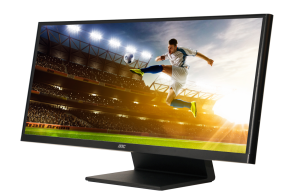 Today we look at one of the most available solutions in the class of 27-inch Full HD-gaming monitors from AOC – model G2770PQU. 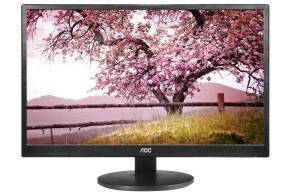 Monitor AOC G2770PQU is based on TN+Film-matrix of an unknown model. However, there is no doubt that this is an 8-bit (6 bit + FRC) solution with size of 27 inches with a resolution of a standard Full HD – 1920 × 1080 pixels and standard aspect ratio of 16:9. The pixel density is 82 ppi. The pixel size – 0.311 mm, which is quite a lot by modern standards. The device has a W-LED-backlit without using Chi-modulation (Flicker-Free) and a gamut close to the sRGB standard. The number of displayed colors is 16.7 million. The main advantage over other TN+Film-models is the increased frequency of vertical scanning, which in the case with G2770PQU may be 120-144 Hz at standard resolution. The stated maximum brightness is 300 cd/m2, the coefficient of static contrast – 1000:1, the angles of 170 degrees in the horizontal plane and 160 in a vertical, RTT measured by the GtG method is 1 ms. We were not expecting nothing else from the device of this kind. And if a couple of years ago someone might be surprised by a couple of numbers from TS of the overview, now, when there are gaming IPS-type-solutions, and even gaming TN+Film-standard WQHD, they do not cause surprise. The monitor is in the standard (read: framework) design. And despite the fact that the Internet is crowded with different pictures with red or green stripe on the bottom of the display frame, our copy is made in the strict black enclosure, without additional frills. It’s a bit strange, because this element allows identifying G2770PQU among all other displays by AOC. The manufacturer does not state any specific functions and features. Five physical keys are used for control. Ergonomics of support is very worthy. 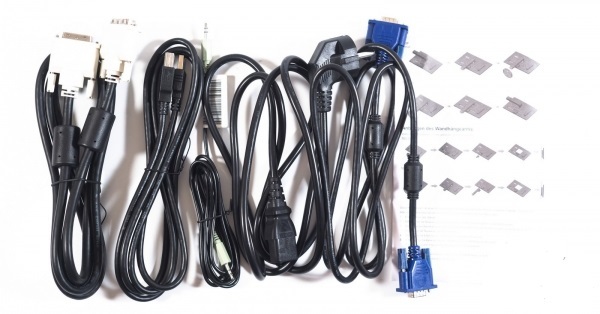 Among the interfaces for connection are used the following connectors: analog D-Sub, digital DVI-D, HDMI 1.4 and Display Port 1.2. Work with maximum resolution at 120-144 Hz is only possible when using a DVI-D and DP. To interact with the periphery, there are two USB 3.0 and two USB 2.0. The model has also a 3.5mm audio in and out. Also speaker system with two speakers 1 W each is built-in into monitor. 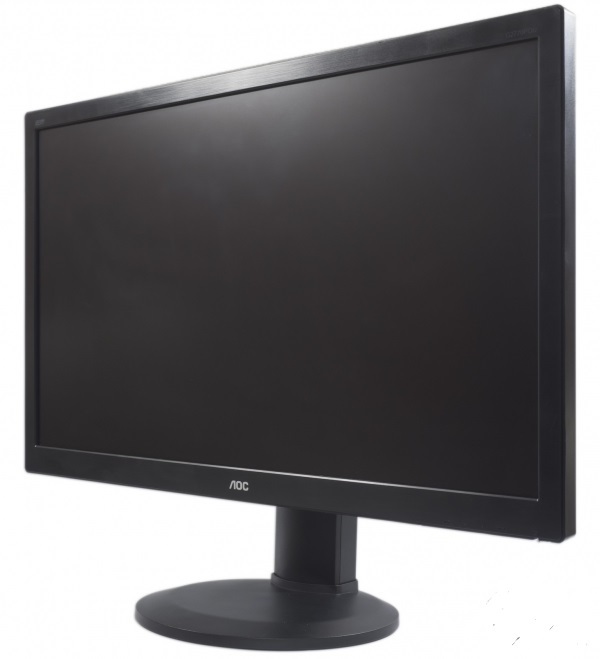 As for the competitors, the AOC G2770PQU has among them only alike TN+Film-models from Acer, ASUS and BenQ. In the aggregate, all of the basic characteristics of the model are identical, and therefore you can choose among them based on the design, availability, and, possibly, by some software technologies that may be of interest to a particular user. 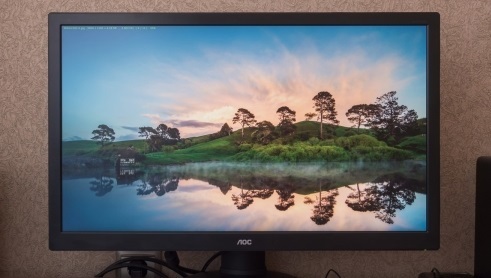 Monitor AOC G2770PQU comes in a simple in style and a small package. It is a pair of photographs of the monitor on it and are the main technical features of the model. There are two notches on both sides and a plastic handle on top for Carrying. 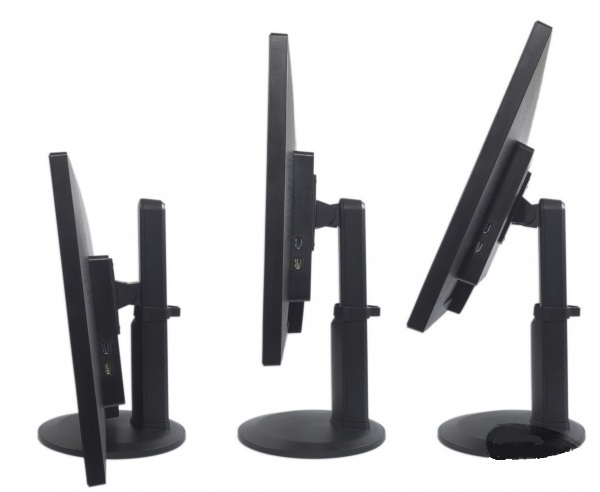 There are no claims: all that is needed to start the smooth operation with any modern PC, is present in set of AOC monitors. 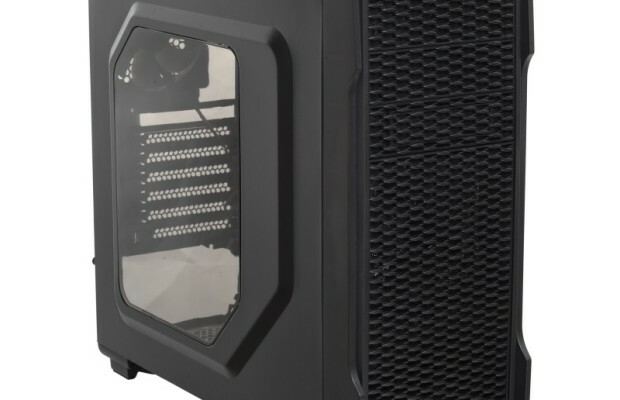 The developers, probably, has not much thought over the design of the monitor, and took as a basis the appearance of lower class models in the company’s range. 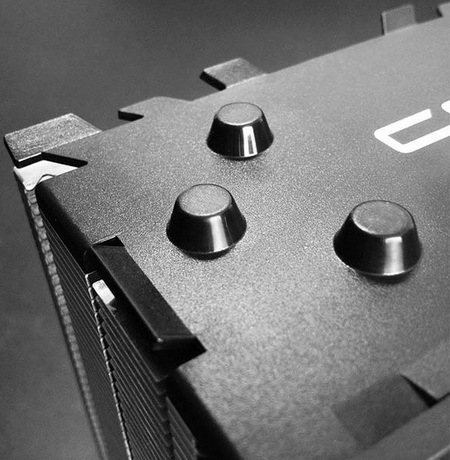 That is why our G2770PQU is very simple, strict, straightforward and not at all like the game model.